Transcribed from a copy in the collection of the Grand Lodge of British Columbia and Yukon Library. Last April 19th, before numerous people in the amphitheatre of the Geographic Society, Mr. Gabriel Jogand-Pagès, also known as Léo Taxil, solemnly denounced the Catholicism to which he had converted, no less solemnly, twelve years ago. In itself, this single manifestation was not an important event: at most it might give substance to a "diverse subject" or an "echo" article in a newspaper. Why then has the press deigned to accord it historical and newsworthy status? And why do we resign ourselves here to allot it the full honours of noteworthiness? 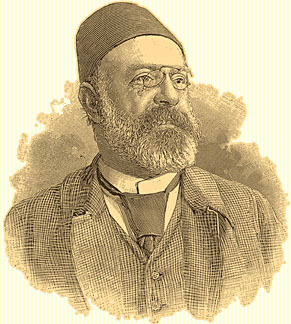 The personality of Mr. Léo Taxil, the particular character of his conversion in the past and his renounciation yesterday would suffice to motivate this publicity; it finds its justification in the general ideas that are put into play and the reflections suggested by an adventure where the burlesque mixed with the serious. When, in 1889, Mr. Léo Taxil effected his first great coup, he was already enjoying a certain notoriety because of the publication of an entire special library dedicated to anti-clerical propaganda. It was not only the sin of non-belief that was weighing on his conscience; it was a heavy pile of volumes and of brochures; stories to keep you awake at night; grotesque pamphlets, read garbage; by which he pretended, by ridiculing and soiling the Catholic religion, its ministers and adepts; to educate the popular masses and to win them over to the cult of pure reason and Free Thinking. Furthermore, to promote his campaign--mostly a library campaign--he had used such unscrupulous means that, among the Freemasons of which he claimed to be, more than one had come to disavow a too compromising zealot. Suddenly, after fifteen years of rude work spent paddling in the mire of a swampy but lucrative literature, the impious pamphleteer, soaked to the waist, finds a new calling. He renounces Satan and his base works: once so proud, he burns all that he has adored and adores all that he once burned: in short, he makes honorable public amends, confesses, attends mass, takes communion, and throws himself at the feet of the Sovereign Pontiff. "My son," the Pope asks him, "what do you want?" - "Holy Father, to die at your feet, there, at this moment... It would be my greatest joy!" responds the prostate penitent. "Not to die," answers Léon XIII with a benevolent smile, "your life is still very useful for the struggles of faith." Act One: Simulations of repentance and of penitence, pious practices proper to edifying the clergy and to capture its full confidence. Diffusion of small books directed against FreeMasonry. 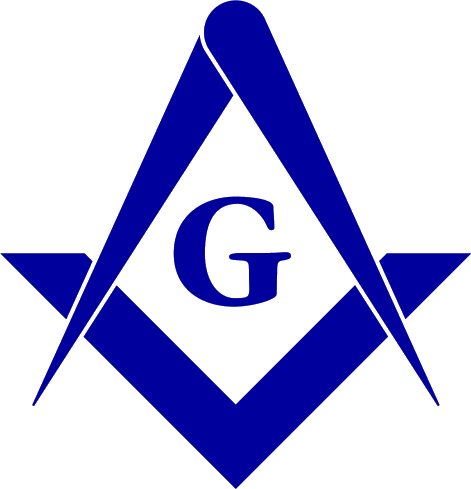 Act Two: Invention of Palladism or High Luciferian Masonry, divulging of secret rites of lodges and back-lodges of the entire world, vowed to the cult of Lucifer. Act Three: Entrance of Miss. Diana Vaughan, so called ex-luciferian of high mark, converted to Catholicism, who reveals in her "Memoires" the diablic mysteries of this damned sect, receives pontifical benediction and maintains a continuous correspondence with the most eminent members of the clergy. 2nd: A lecture entitled "Twelve years under the banner of the Church" by Mr. Léo Taxil. 3rd: Palladism exposed, a conference accompanied by light show projections by Miss. Diana Vaughan. The writing machine is raffled and is won by a young journalist. The evening begins... but, to the great disappointment of the public, wisely composed of a mix of priests, avowed catholics and free thinkers (the organizer later admitted to having selected the audience), the most impatiently awaited person, the mysterious, the extraordinary heroine whose problematic existence would dispel much speculation, and whom some sceptics had dared to treat as a myth, having stayed until then in the corridors-Miss Diana Vaughan does not appear. Mr. Léo Taxil, in correct evening dress, occupies the stage, alone. With serene impudence, in even tones, he denounces his own imposture, completely empties his bag of malice, explains complacantly how, for twelve years, he has betrayed and duped the clergy and has made fun of everyone. "Ladies and Gentlemen," he cried out in a peremptory manner, "I am admitting my crime. I commited infanticide: Palladism, now, is dead, very dead. Its father has just killed it." And he leaves the audience, first dumbfounded, more sickened than indignant by this sadly grotesque spectacle. Here now is the second great coup of the terrible "backslider" from religion. As for Miss. Diana Vaughan, the pseudo-convert, he only half assasinated her; if she died with Palladism, of which she was the incarnation, she subsists and is doing wonderfully in the form of a young "typist", meaning virtuoso of the writing machine, secretary and accomplice of Mr. Léo Taxil, at the modest monthly appointment of 150 francs. During the anti-masonic convention of Thirty, her patron had brought to Paris, as authentic document, a portrait representing the invisible American woman in her official dress of "grand mistress general inspector of the luciferian triangles". It was "on sale", according to commercial terms: it was paid for handsomely by a local photographer, whom we needed only to ask for the copy reproduced here. "The most colossal hoax of modern times", this is how Mr. Léo Taxil himself termed his enterprise, and, in his modest success, he does not hesitate to give himself the title of king of modern pranksters. He flatters himself in having used his natural talents, perfected with a gradual training, for the good of society, infected with the virus of superstition. Since the odiousness of his parodies and contradictory mummeries seem to evade Mr. Taxil, let us not pause to scold him on this point; let us stick to considering him the joyous and gigantic prankster that he claims to be. Well! He singularly exaggerates the professional merits and importance of his role. Compared to the exaggeration of the Midi, the effect of the provincial sun, so prettily explained by Alphonse Daudet; our Marseillian bears, even under other skies; the hyperbolic mirage that makes a turnip into a jewelled carbuncle; the emulation of the illustrious Gaudissart and close cousin of the Tartarin, Taxils charades, as all the rest, assume magified proportions in his own eyes. Voluntarily, he measures his dimensions with the efforts and fabrication of his imagination. When all is said and done, he must reduce some of it. Coiffed with a fez reminiscent of the famous chechia feminine of legendary Tarasconnais; armed, not like her by an arsenal of guns, pistols and daggers, but with a writing desk and a box of traps, he too wanted, to hunt the big game, force to its repair the clerical Hydra. What has he gained? His dignity. The unique concession that we might make to his vanity is to note that he is one of the first to have erected a social career, an industrial profession, on the art of fraud, nevertheless still classifying it among the flimsy fantasies. Mr. Léo Taxil, it is true, protests highly his complete disinterest. He affirms that he only worked for a greater glory. So, he must find himself well paid for his troubles, if in his eyes, glory consists in being doubly denounced, discredited, burned in all camps, in hearing himself referred to as "coquin, canaille, gredin, fripouille, crapule", an unworldly crook, all epithets borrowed textually from the official report of the evening of April 19th. All published by the organizer himself that is! Each understands glory in his own fashion; and it is in this way that this grinning, chattering greybeard expresses his profound satisfaction. But at least, may he no more abuse us with his superiority as a prankster. There is little to envy in seeing another, alone in amusing himself with his own self-importance; it is ungraceful to dress oneself up with human credulity when one is such a superb example of credulity in sincerely believing oneself the greatest hoaxer of the century. Translated for the Grand Lodge of British Columbia by Ms. Suzanne D'Aoust. Vancouver: 1997. The original magazine article clipping is affixed to the inside cover of a copy of Mémoires d'une Ex-Palladiste Parfaite Initiée, Miss Diana Vaughan. Indépendante Publication Mensuelle Ceci est une æuvre de bonne foi. Paris A. Pierret, Éditeur, 37, Rue Étienne-Marcel Tous droits reserves, in the collection of the Grand Lodge of British Columbia and Yukon Archives.